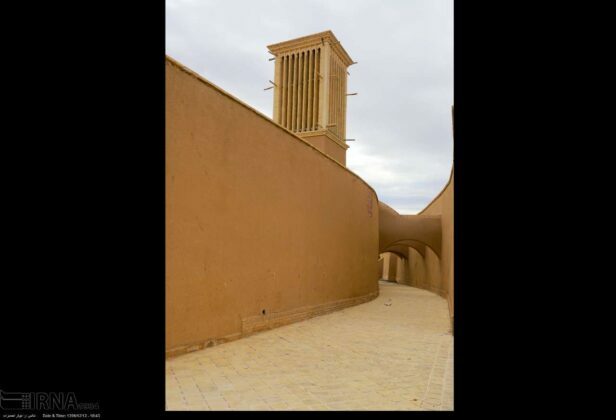 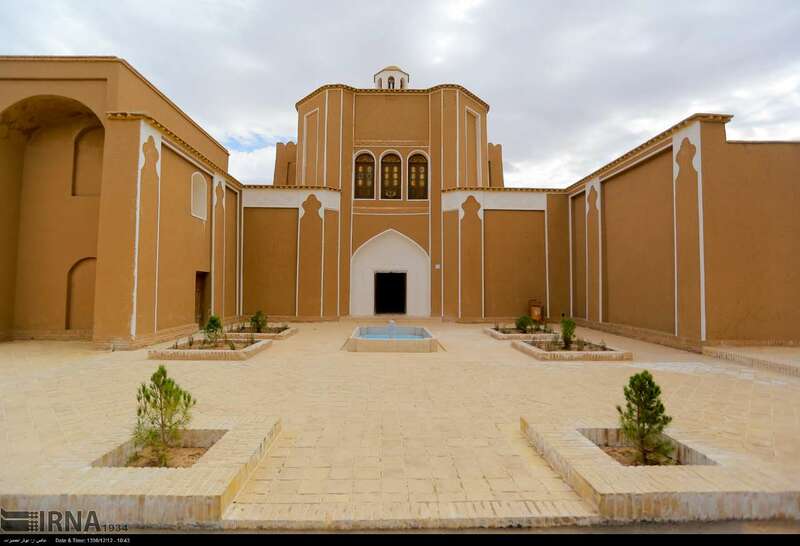 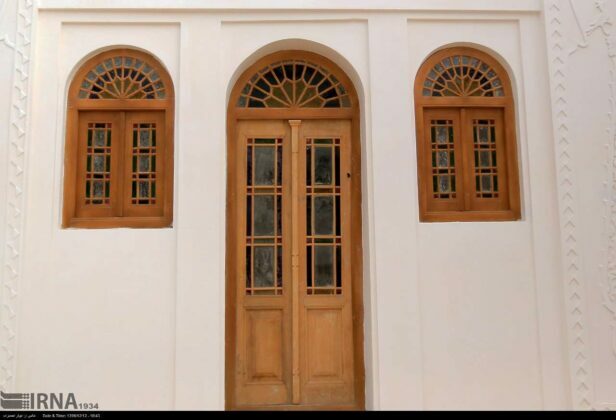 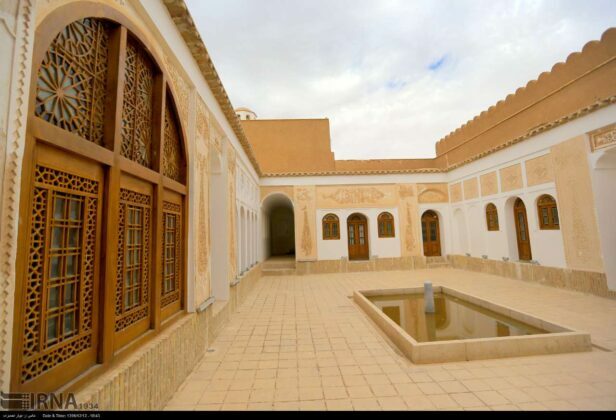 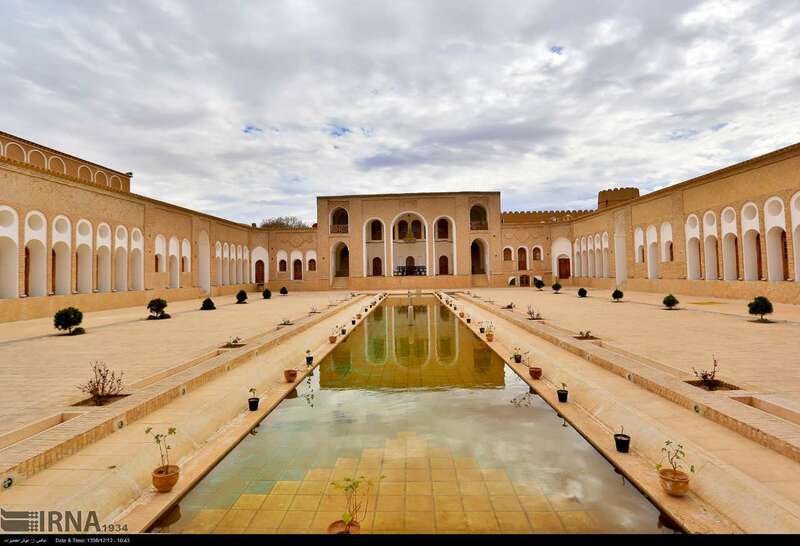 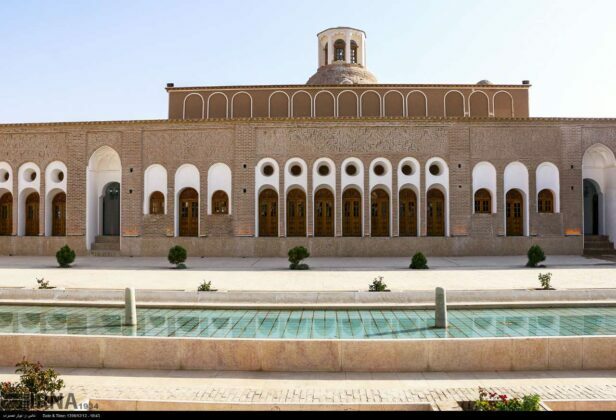 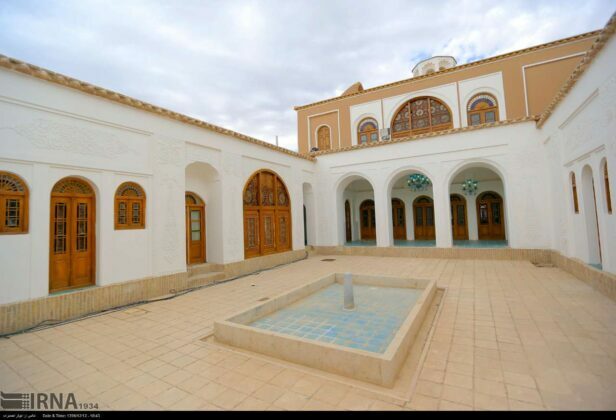 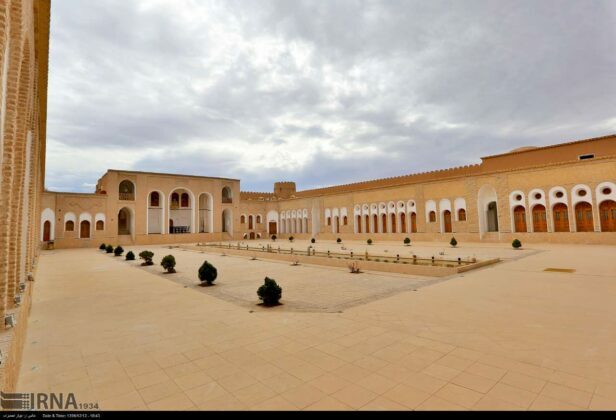 The Haj-Agha Ali House is a historic house located six kilometres away from Rafsanjan in Kerman Province. 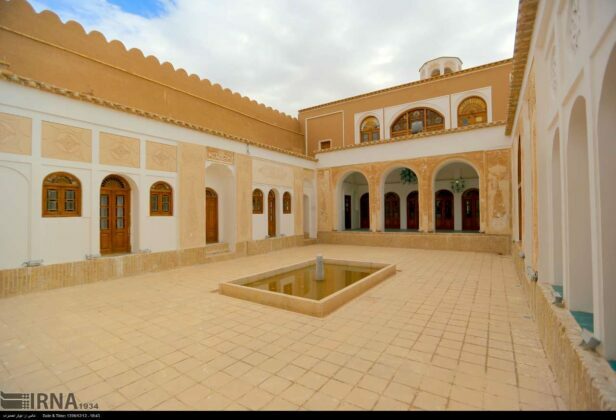 The house has an internal area of 7,000 square metres and is one of the largest and most beautiful adobe houses in the world. It was built in 1758 by a wealthy Iranian merchant named Haj-Agha Ali, also known as Za’eem Allah Rafsanjani. The house has 86 rooms constructed in four main sections: spring house, alcove, fall house and winter house. 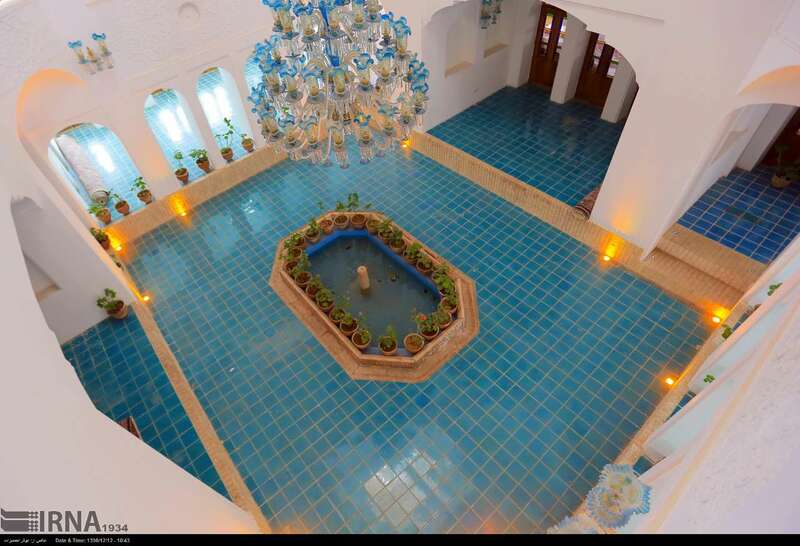 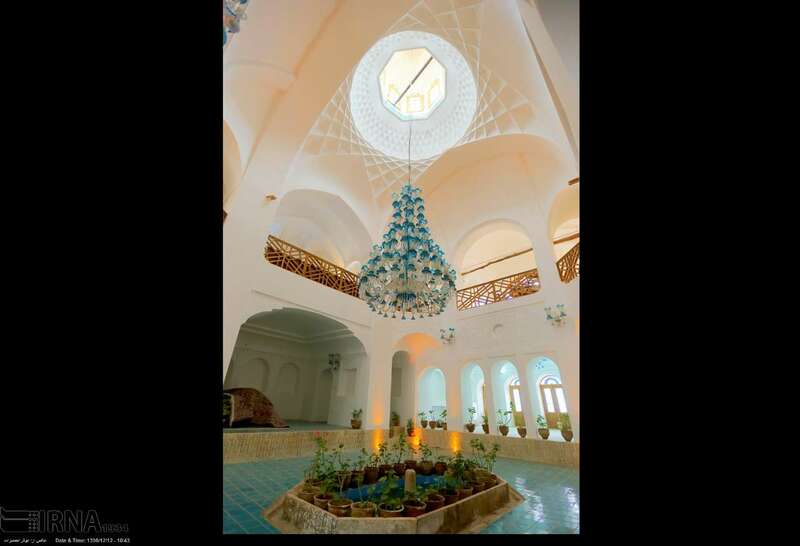 The high dome ceilings, magnificent arches, beautiful mouldings, soaring pine trees and traditional architecture of the houses attract any viewer’s attention.